Consider a holiday at sea - aboard a luxury cruise liner - no plane connections, no dinner reservations to make, no scramble for tickets and auto rentals. A leisurely holiday - sit back and let the lazy feeling take over you. Take in a movie, shop, gamble or swim or just sit on the deck and watch the waves go by. Such are the pleasures of cruise travel that it is little wonder that nearly 9 million passengers traveled on a cruise in 2003. Find out how a cruise vacation package can promise a holiday of a lifetime. Check out discount vacation cruises or luxury vacation cruises. A cruise ship visits many different ports allowing each day to bring a different adventure. A cruise ship is a floating resort offering guests all the amenities that a fine resort has to offer. Family Cruise: A family cruise provides a great opportunity to share wonderful moments together. Cruise pricing includes your accommodations, meals, snacks, 24-hour stateroom service, entertainment, activities, use of facilities including the health and fitness club. A family cruise vacation is the best value for your money and more! Family cruises are known to have a higher percentage of satisfied guests than any other vacation experience. 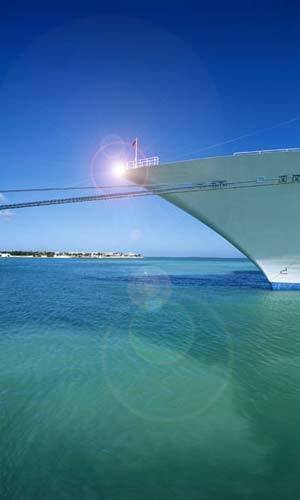 Incentive and Corporate Cruise: An incentive cruise is one of the corporate fringe benefits. It can work as a combination of business and pleasure. Incentive travel is the best choice for sales rewards. What better way to motivate employees than by rewarding them with a luxurious cruise as recognition for quality work and results! Group Cruise: 8 double occupancy staterooms qualify as a group. 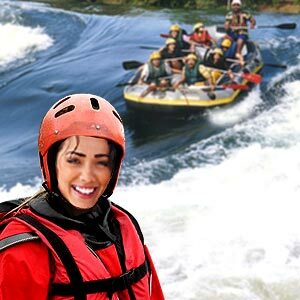 A group cruise is a great way to reunite family and friends and bring everyone together in the fun-filled and relaxed atmosphere of a cruise ship. Cruises are all-inclusive of meals, snacks, plus 24-hour room service, entertainment, activities, accommodations, health and fitness club. Groups can avail special discounts and amenities. A travel agent plays a vital role while you choose your cruise. You can shop around for competitive discounts that can give you value for money. Discount rates vary from one cruise to another. A travel cruise agent can get you discount rates on facilities and reservations if several people are traveling together. Booking a cruise travel is not as simple as reserving airline tickets or hotel accommodation. A certified cruise travel agent affiliated with the Cruise Lines International Association (CLIA) can help you with booking a cruise travel as well as attend to any special requests. How long is your vacation going to be and how much are you willing to spend? This is the basis on which you can work out your cruise plans. An approximate budget about $100 per day per person (exclusive of airfare) is to be considered. However you can avail of cruise discounts if 2 persons share the cabin, and book in advance. The minimum price on a 'mainstream' cruise line seems to average about $500 per week. For those in the United States, if you have less than a week you are probably restricted to Bahamas, or Mexico. A week's vacation will open up the Caribbean to you, and depending on where you live you can even get to Europe, Hawaii or the South Pacific. Cruises are usually a little cheaper in the spring or fall. Winter used to be peak season for tropical locations like the Caribbean. However, summertime also sees many a family or college students traveling on cruises. Look up the Internet for bargains and discounts on cruise liners. Booking earlier may get you a better discount as booking rates tend to become more expensive when it gets closer to the day of sailing. 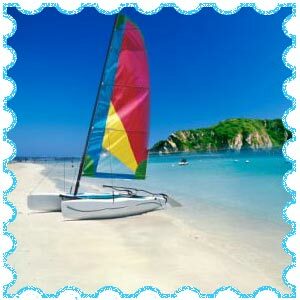 Typically booking 120 days prior to sailing date might fetch you better discount on cruise travel. Cruising off-season can help in saving on prices. Cruise vacation package prices are on the increase since there is heightened demand for cruise vacations. A typical weeklong Caribbean cruise costs about $600 today; roughly what it cost about 2 decades ago. Check whether the costs of staying at ports during the cruise are included in the price. Sometimes shore excursions are not part of the basic cruise fare. Find out whether the price of a vacation cruise package includes airport fees, departure taxes and port charges. Check out which amenities on board form part of the vacation cruise package. Many a time, facilities such as gambling, spas and entertainment are charged extra. 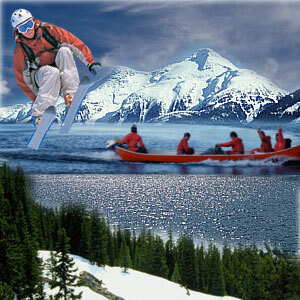 Alaska: Most Alaskan cruises are for a week or two. They usually leave from Seattle or Vancouver, although some of the longer ones depart from California. Australia and Asia: These two locations are increasingly popular among those seeking a longer cruise. Many cruise lines frequent Asia and/or Australia during the winter months while others include these 2 continents as part of a round-the-world cruise. Bahamas : The Bahamas can be reached during a weekend cruise from the U.S. or can be included in the itinerary to the Caribbean. The Bahamas are a good place to go if your funds are limited and want to plan a short yet memorable cruise holiday. Bermuda: Most cruises to Bermuda last a week, leaving from the east coast of the U.S. (Boston or New York). The ship serves more as a floating hotel than as a means of transportation between islands and cities. Caribbean: A trip to the Caribbean is usually a combination of a trip to eastern Caribbean, western Caribbean and southern Caribbean. Ships usually leave from Florida, New Orleans, Texas or San Juan. All Caribbean cruises give you an opportunity to check out several islands during the week. You usually sail at night between the different islands. Europe: Most European cruises last one to two weeks. Ships sail the Mediterranean year-round while northern Europe is available in the summer. The embarkation points differ among cruise lines, depending on the itinerary. Hawaii: Vacation cruise packages to Hawaii last one to two weeks, depending on if you fly to Hawaii and then cruise or if you leave from the west coast of the U.S.
Mexico There are actually two parts of Mexico available to cruisers. The Caribbean coast of Mexico (the Yucatan) is included as part of many western Caribbean itineraries. There are also ships that leave from New Orleans and Texas that sail to Cancun and Cozumel. South Pacific Islands: Tahiti and French Polynesia make for wonderful cruise destinations. Resort Cruise liners accommodate about 500 - 1500 guests while the mega liners can even take nearly 3000 guests. Contemporary cruises allow you a wide option of amenities that often exceed those found on a similar land-based vacation. Typically, such luxury vacation cruises cost anywhere in the range of $150 to $350 per person, per day. Prices may vary from cruise liners and seasons. Premium cruise ships offer upscale facilities such as gourmet style cuisine, art collections and additional guest space. If you are among those who want the finest type of cruise amenities and are looking for a luxury cruise vacation, butler service and all, opt for luxury cruises that take you to exotic locations. Prices for luxury cruise liners range from $400 to $1000 per person per day. There are niche cruises that focus on specialty segments. Such cruises allow vacationers an experience of a lifetime, to soak themselves in the culture they are visiting; be it the Greek Islands, South America, Orient or Scandinavia. This could include guided tours with naturalists and on-board seminars with distinguished experts. Discount vacation cruises are economically priced and offer the charm of a traditional cruise ship sans frills. They are usually conducted on mid-sized cruise liners that are an affordable opportunity to see the world. The Queen Mary 2 cruise liner is a perfect example of an exotic and classic cruise ship. Cruising across the Atlantic, it takes you through the fjords of Norway, the rugged coast of New England or the Mediterranean. You can take a winter vacation cruise to the Caribbean too. With spacious and luxurious guest rooms that offer premium amenities, The QM 2 is a traveler's delight. You can dine aboard the many restaurants or watch a program in the auditorium or even dance the night away at the ballroom or disco. The Queen Elizabeth 2 is probably the world's most famous cruise ship of her times. Characterized by sumptuous accommodation, gourmet cuisine and traditional British elegance, the QE 2 is a luxury liner that makes a voyage an experience of a lifetime. Travel insurance on a cruise provides peace of mind, especially in these days of delayed or lost baggage, medical emergency and political situations. Cruise liners rarely reimburse uninsured passengers for cruise cancellation and interruptions. Opting for cruise travel insurance can take care of missed connections, emergency medical evacuation and suitable treatment. Check out with the cruise travel agent for any insurance options on the cruise bookings.